The only concrete difference a gambling sponsor has from any other industry is that kids’ shirts cannot carry the sponsor’s logos after a set of guidelines agreed between the government and the betting industry in 2007. Fans in the past have expressed disappointment that this means children’s replica shirts won’t look like the adult ones. In some ways this feels like a small sacrifice to make in return for the sponsor’s funding. Of greater concern to some is the impact that gambling, and specifically addiction, has on the lives of people. Having a punt is a legal activity, is enjoyed by millions across the world, and adds to the excitement of a range of sports for many. I gamble very little myself, but don’t deny the pleasure and leisure it provides to others. And then of course there is the other, darker side. Poor unfortunate souls who lose control – where a supposed leisure activity ends up having greatly affecting their lives and the lives of those around them. The negative impacts of gambling should not be underestimated. There’s a clue in the televisions adverts continually pumped out to us. “When the fun stops, stop” and “Please bet responsibly” – like alcohol, any industry which tells you “Hey go careful with this” is causing some problems somewhere. Many families have been touched by some degree by the misuse of gambling. The truth is that the sponsors on our strips are a part of our identity, if only fleetingly for a season or two. The colours and designs of our kits, especially the width and continuity of our hoops can be incredibly controversial. It is part of the face we as fans show the world, part of us. For example, over the last couple of seasons the Fake Hoops have been sponsored by Thai energy drink brand Carabao, who incidentally are also now sponsoring the league cup. I dislike the horned skull logo intensely and really would not want anything like that to appear on a Rangers kit. It’s often good for our collective egos to have a kit sponsor that is cool. And it arguably didn’t get any cooler than Andrew Ridgely rocking the Guinness hoops in Wham’s Freedom video in 1984 (from 3:35 in the video below). Gambling companies generally aren’t cool. Paddy Power may have pretensions with its image but for me it veers towards being jokey, blokey and ironic. But the money these businesses pump into the game is a fact of life in modern football. Let’s call a spade a spade. 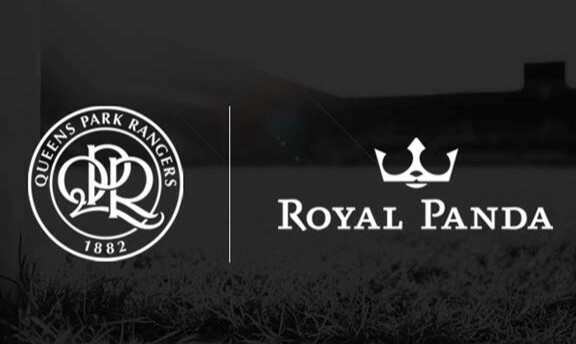 QPR haven’t got much cash in the bank to chuck around. The days of frittering hundreds of millions have gone and thankfully the days of financial sustainability are here. Given that, should QPR turn down the most advantageous sponsorship deal on a moral scruple? I understand why some folks are uncomfortable. Maybe they have religious or ethical objections to gambling. Or perhaps they have loved ones who have suffered from gambling addiction. It’s a reasonable point of view to have and they have a right to express it. Whilst gambling is legal and a widespread activity, I don’t see why our club should unilaterally proscribe itself from the benefits that many of our competitors are enjoying. I’m not defending the gambling industry. But its negative effects are a problem for society. And any problem for society needs to be tackled by society, by governments, by laws and regulation. Football as a whole needs to reappraise its relationship with the industry. It is not for our club to potential hinder its competitiveness on the field by shackling itself off the field. After all, beggars can’t be choosers. I do seriously wonder if a halfway decent offer were made for the club whether Tony F would sell up. Banning a gambling company because some poor unfortunates lose all they have is as logical as banning pubs because some people are alcoholics or banning food because some people are fat. We are all given choices in this day and age- more choices than our grandparents could ever have dreamed of in the thirties and forties and beyond.